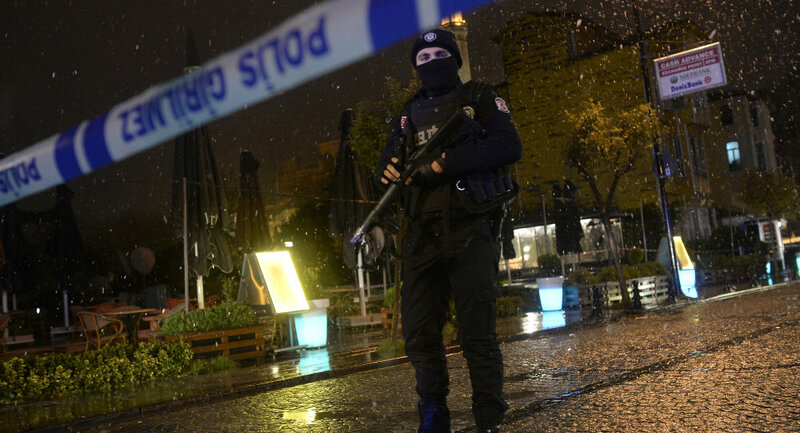 A female suicide bomber blew herself up at the police station in Istanbul’s historic district Sultanahmet and wounded two police officers. MOSCOW, January 6 (Sputnik) — A female suicide bomber blew herself up at the police station in downtown Istanbul Tuesday injuring two police officers, the Financial Times reported citing the city’s governor Vasip Sahin. Sahin told journalists that an unidentified English-speaking woman entered the police station in Istanbul’s historic district Sultanahmet claiming to have forgotten her wallet and blew herself up. Two police officers have been wounded as a result of the explosion. One of them died of his injuries. According to the Turkish NTV broadcaster the woman had detonated a hand grenade. The attack comes less than a week after an armed man has been detained after throwing an improvised hand grenade at the police post in front of the Dolmabahce Palace in Istanbul which currently serves as an office of the country's prime minister Ahmet Davutoglu.